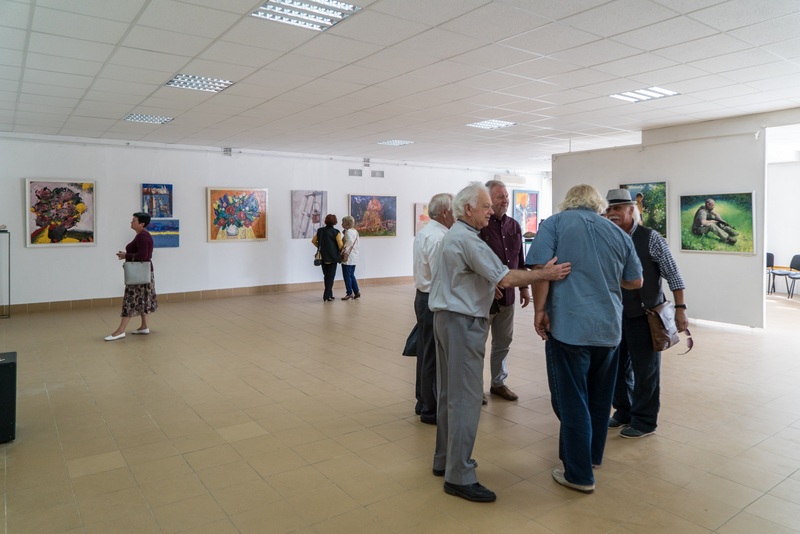 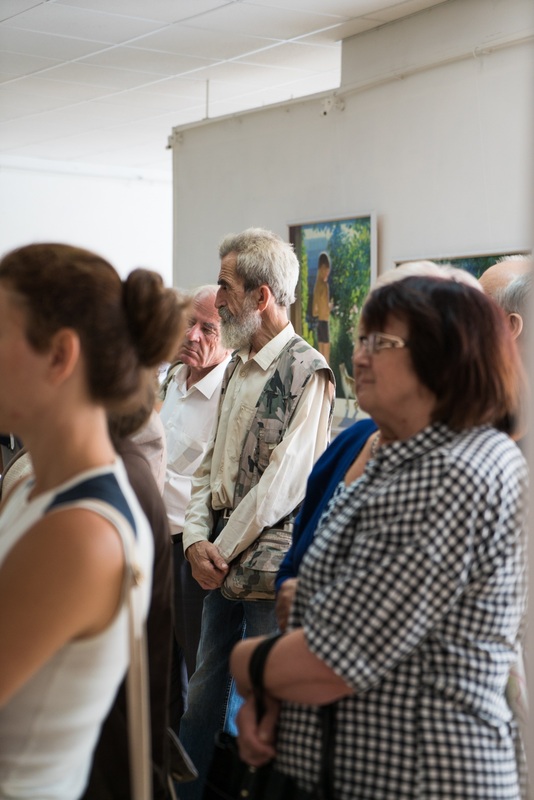 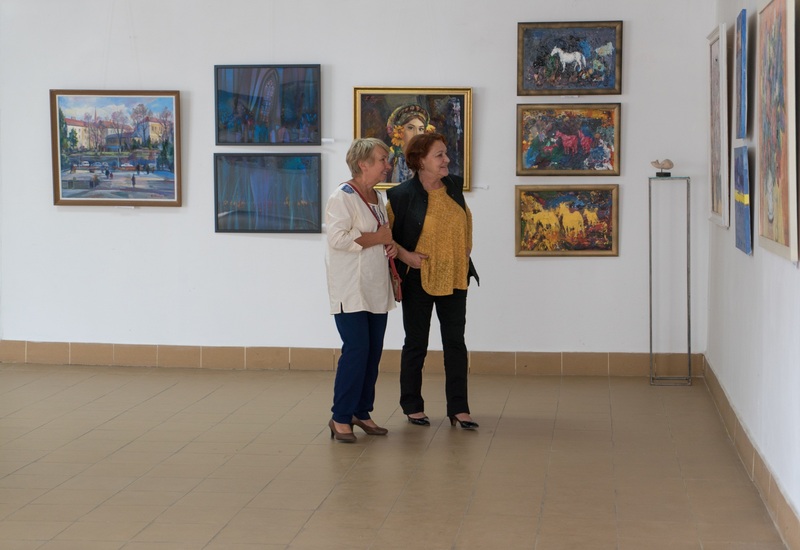 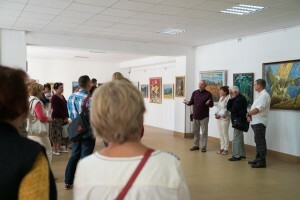 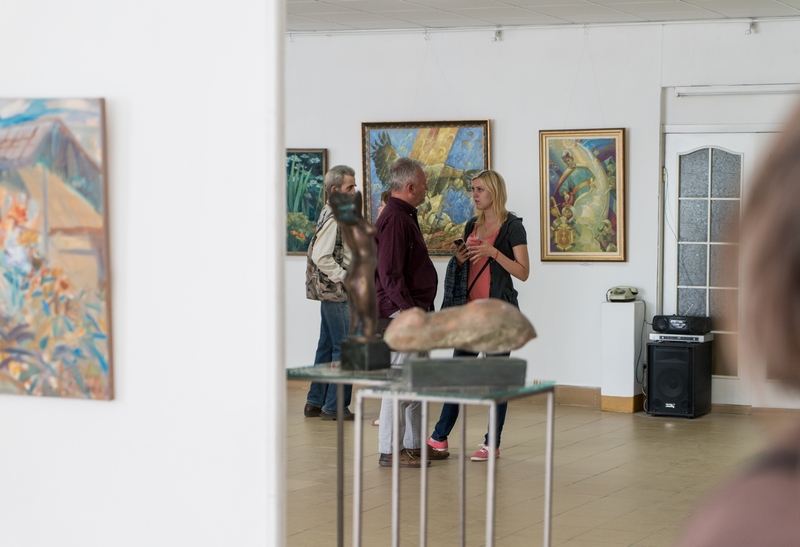 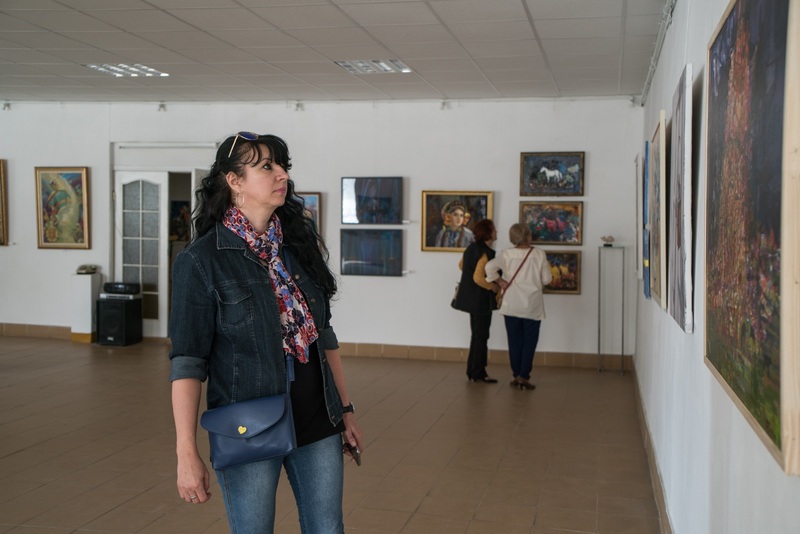 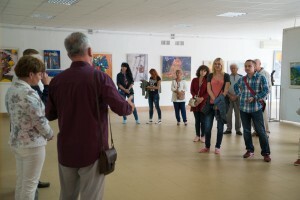 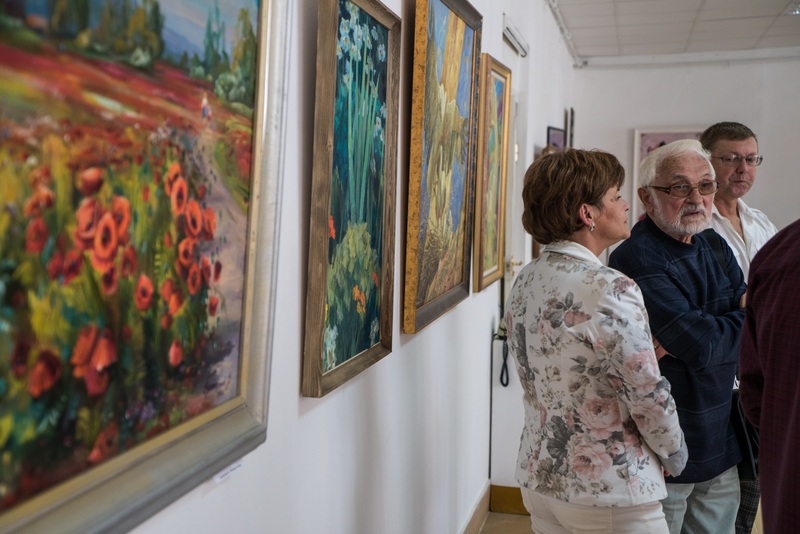 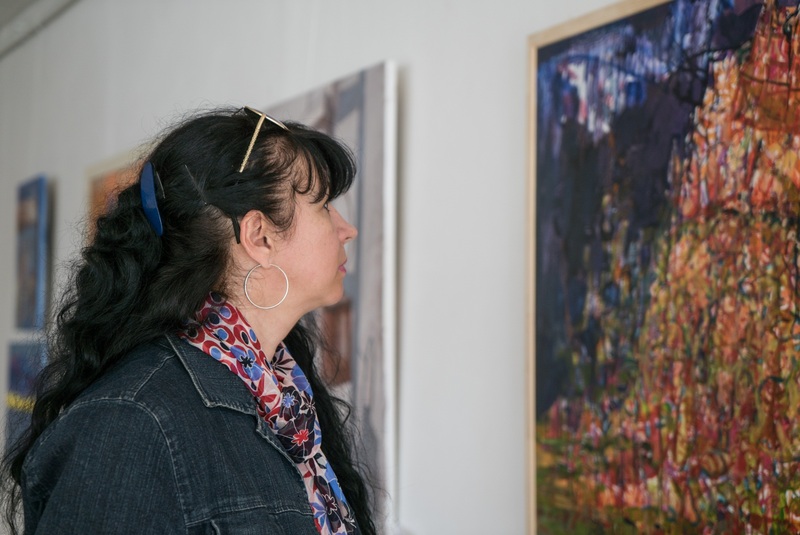 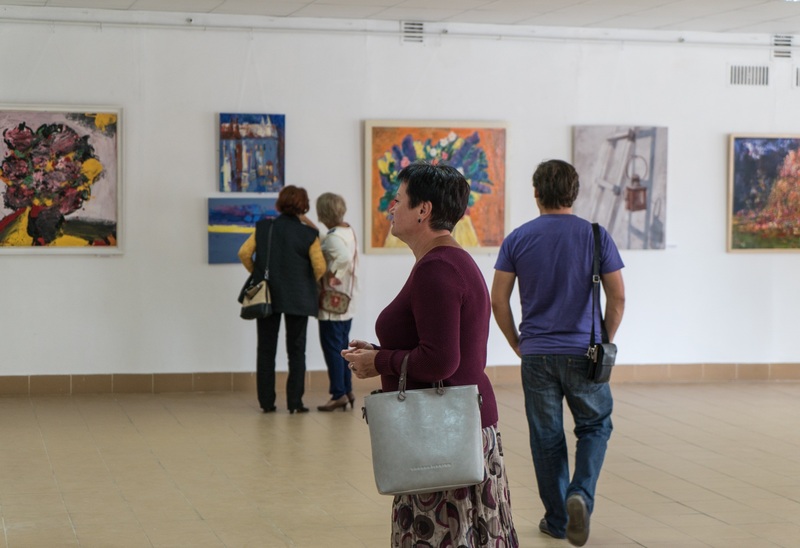 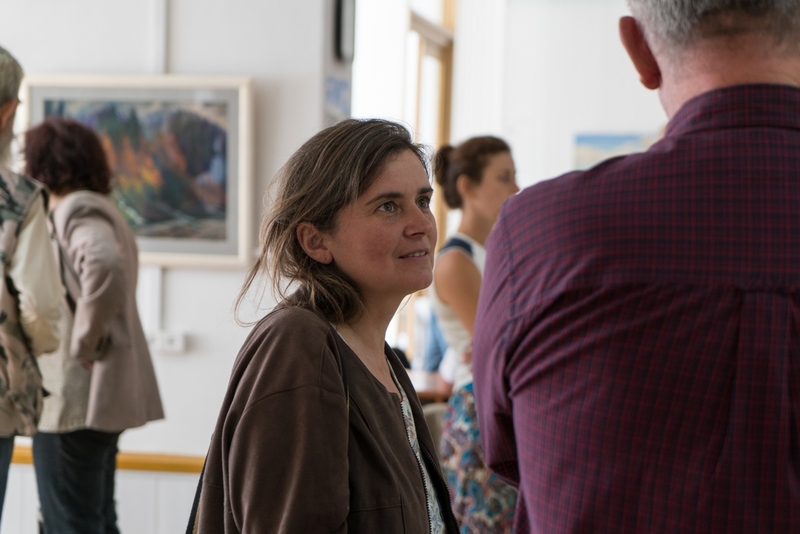 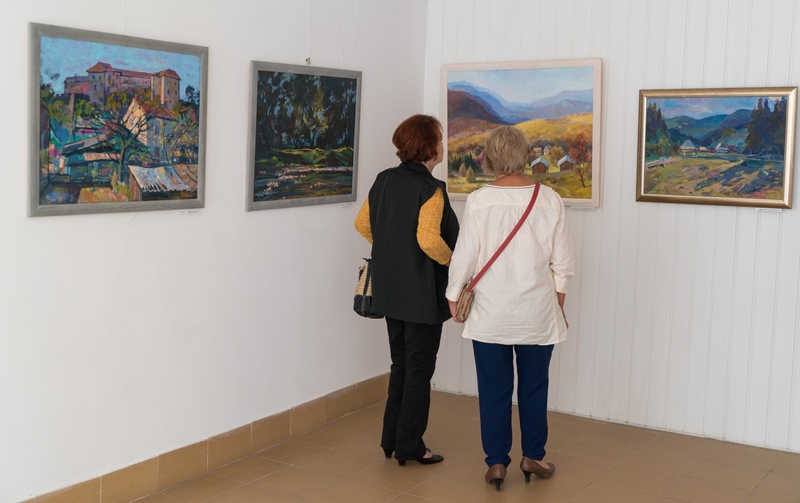 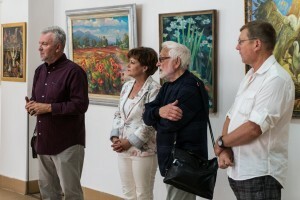 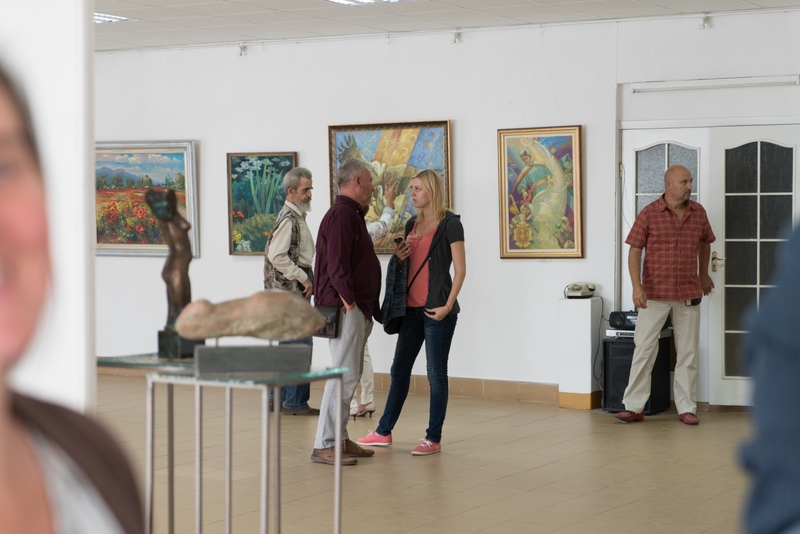 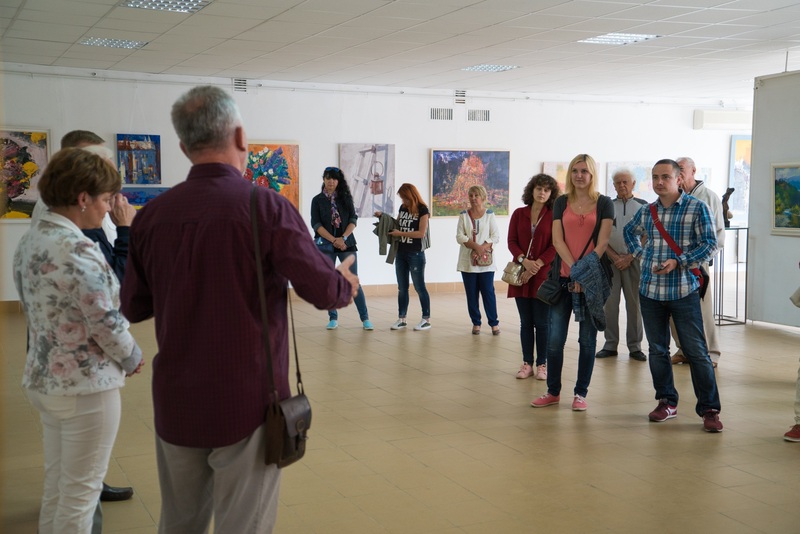 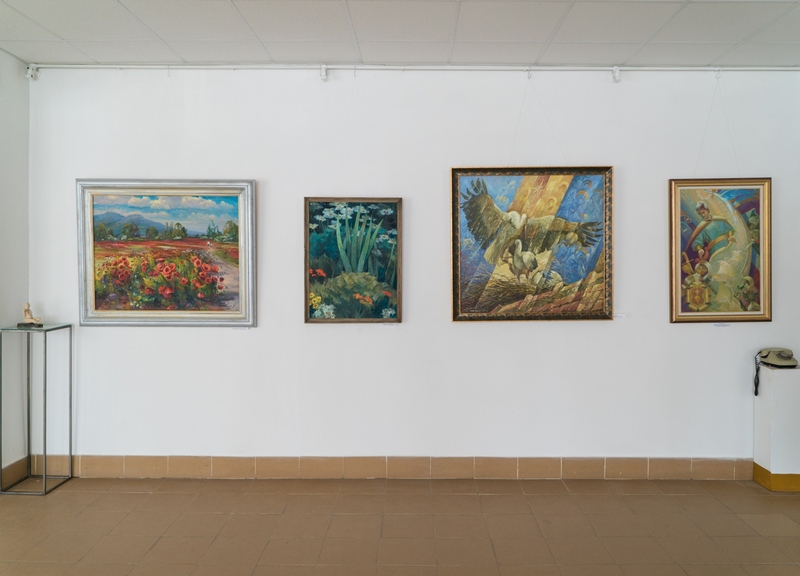 EXHIBITION OF THE UNION OF ARTISTS OF TRANSCARPATHIA WAS OPENED IN GALLERY "UZHHOROD"
On August 23, 2017, in the premises of the gallery "Uzhhorod" it was opened an exhibition-vernissage of representatives of the Union of Artists of Transcarpathia, timed to the Independence Day of Ukraine. 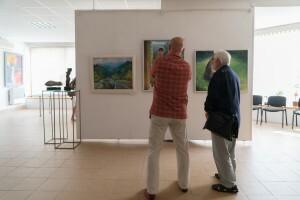 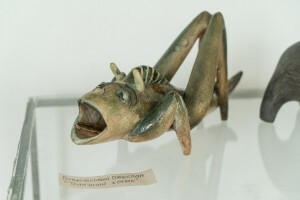 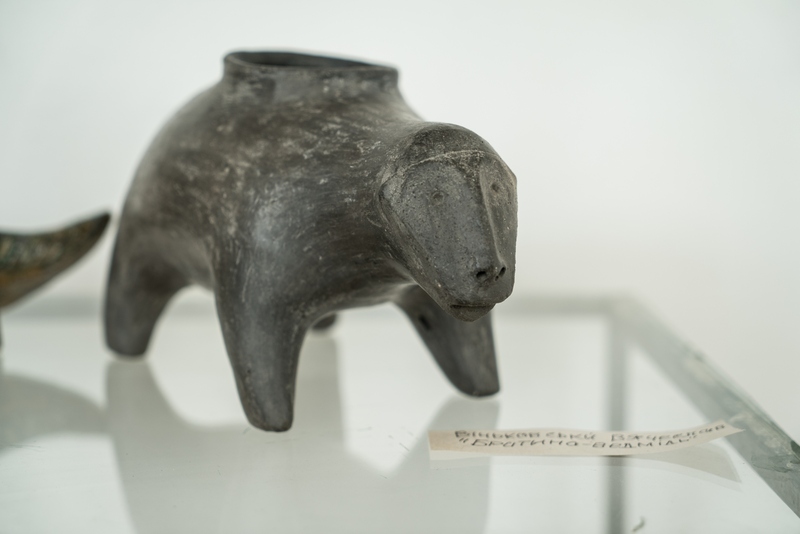 The exhibition includes 46 works of more than 30 authors – the main creative staff of the union. 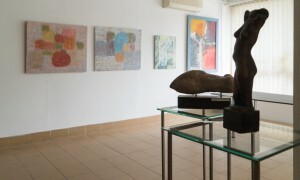 Here is represented painting, drawing, sculpture. 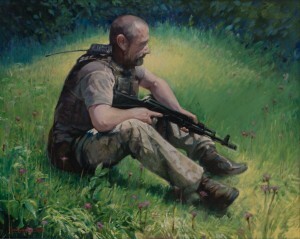 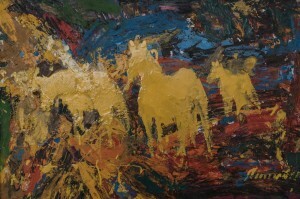 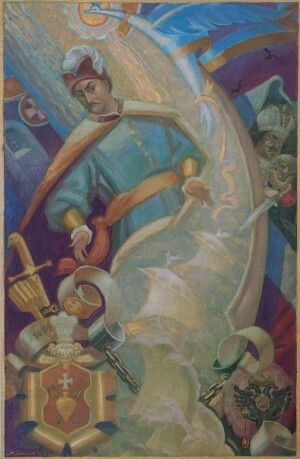 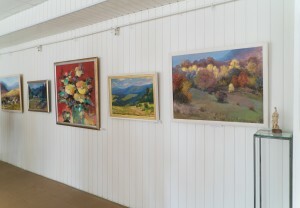 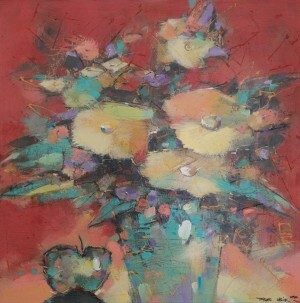 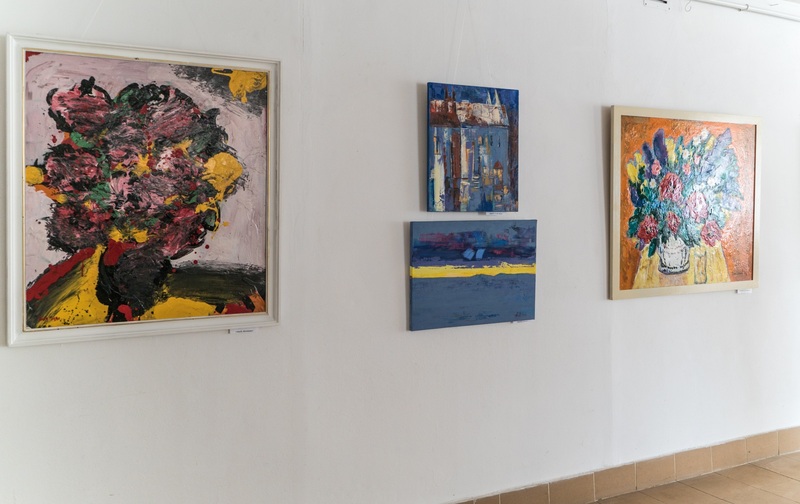 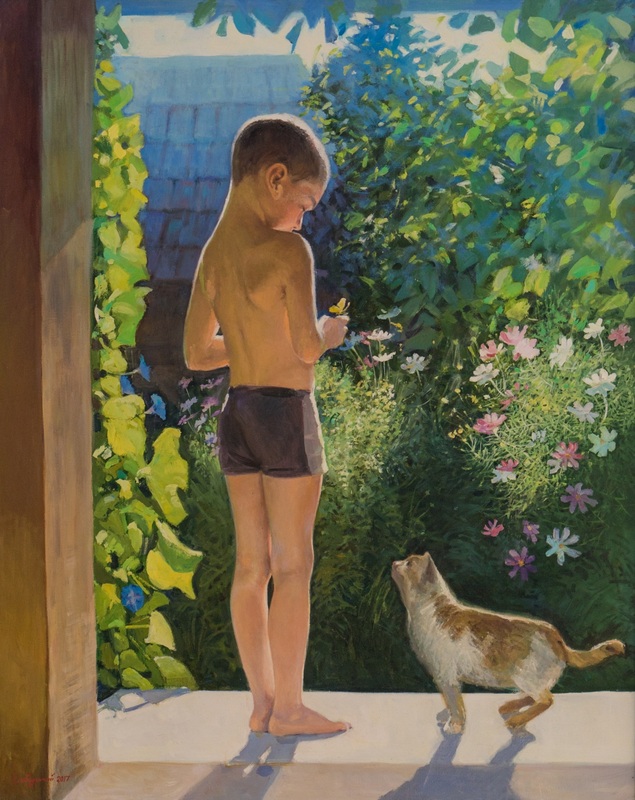 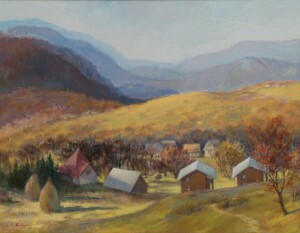 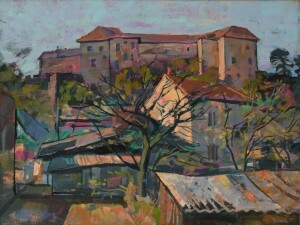 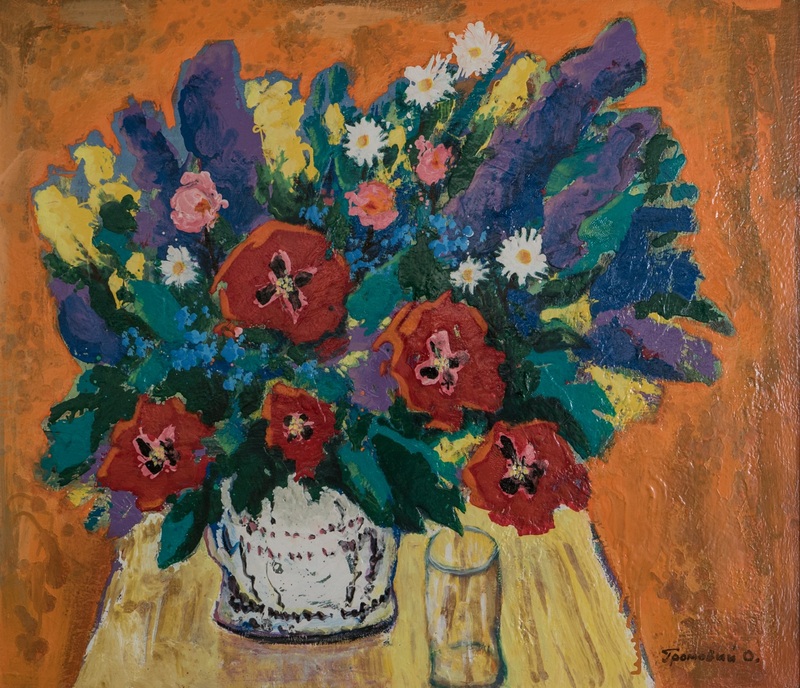 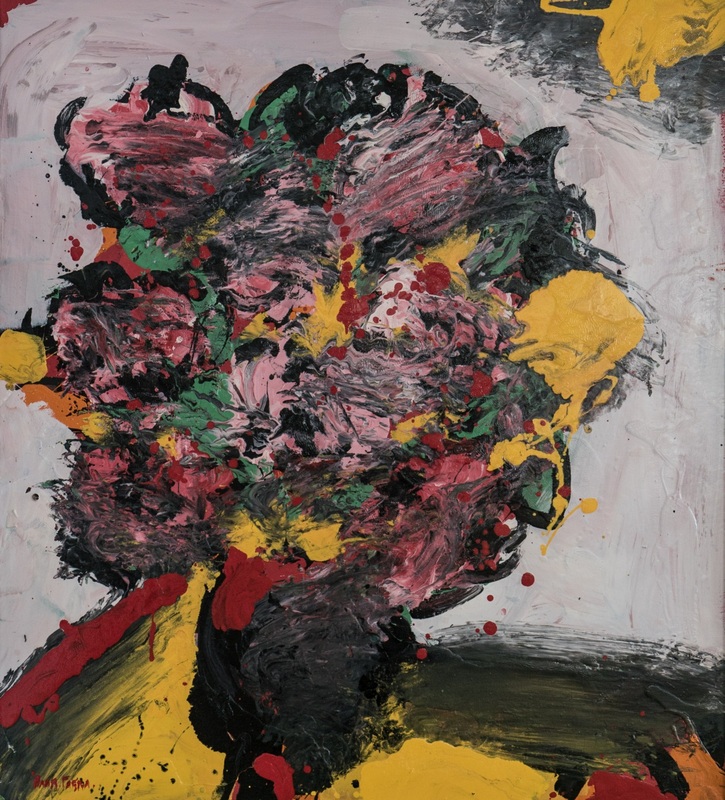 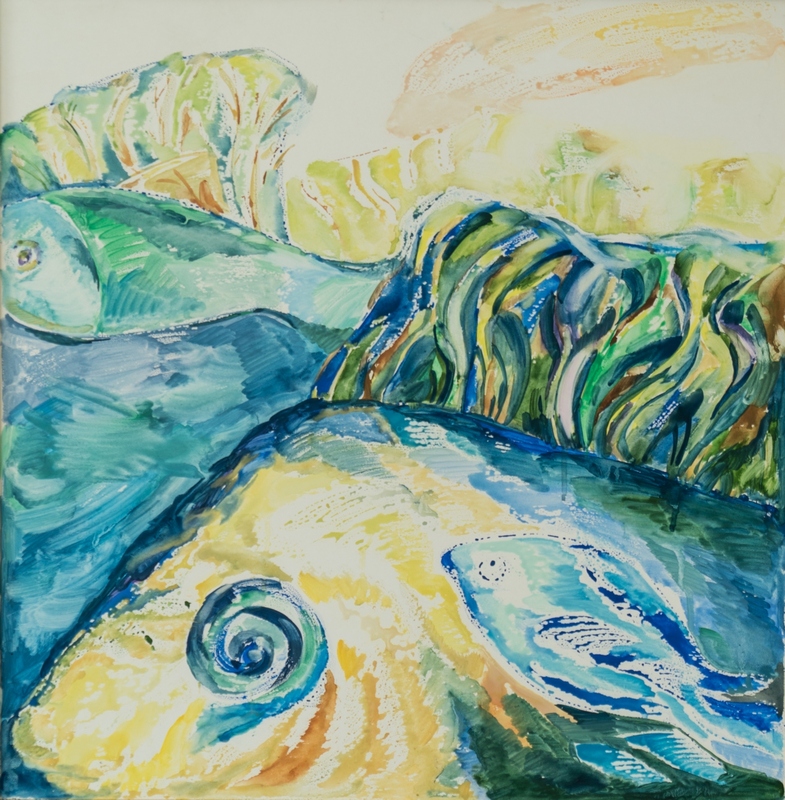 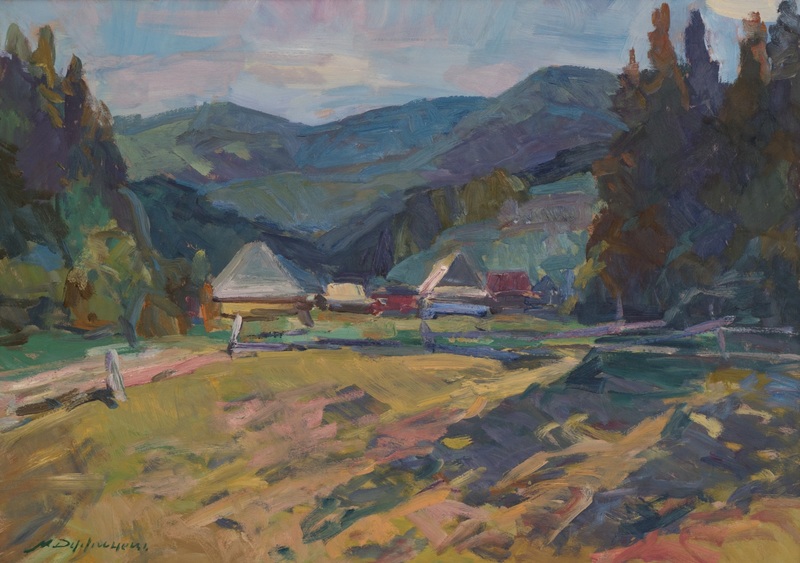 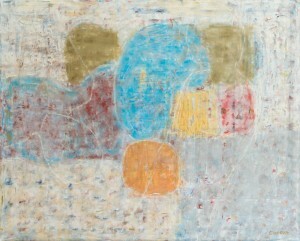 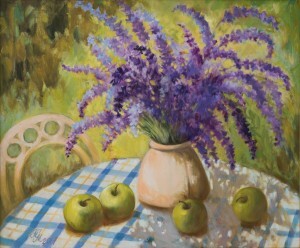 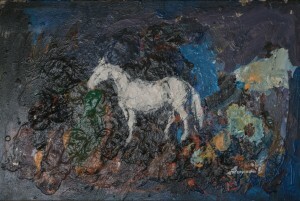 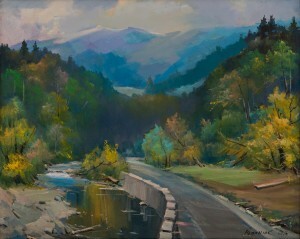 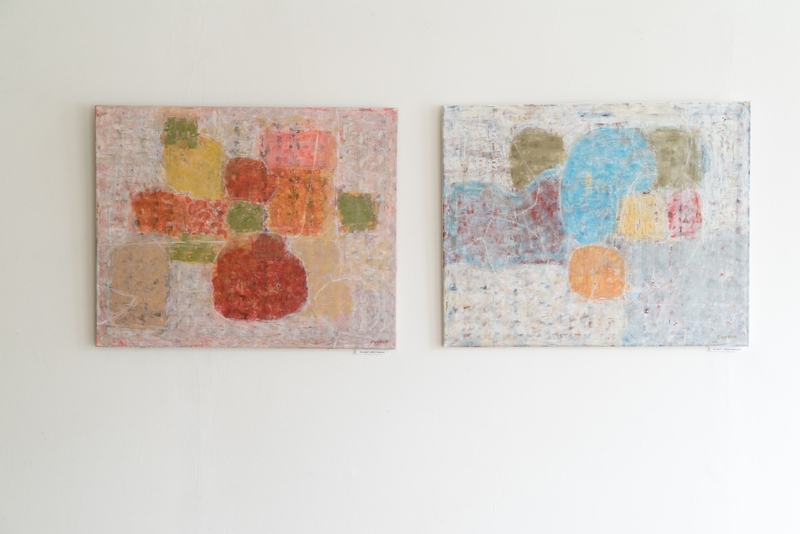 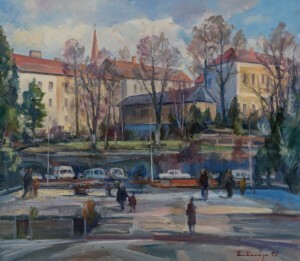 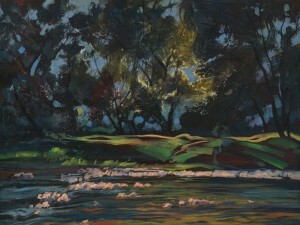 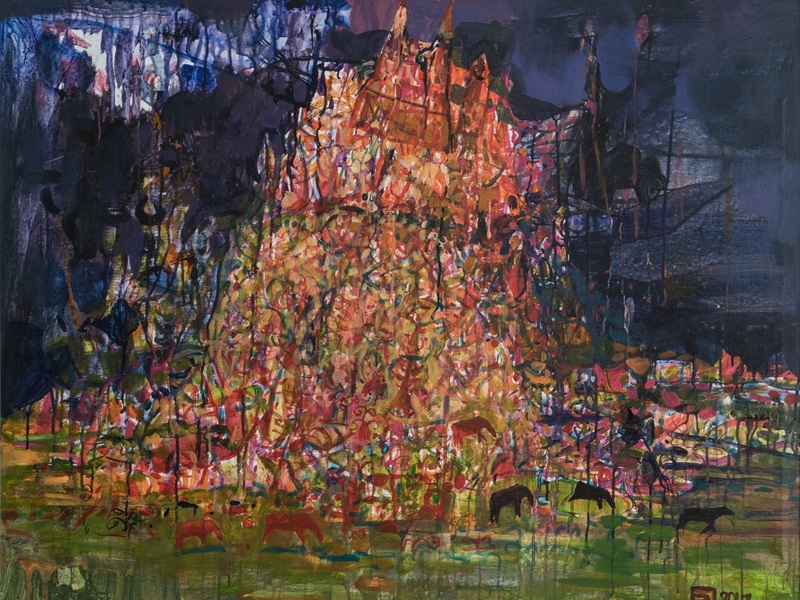 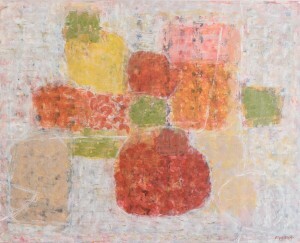 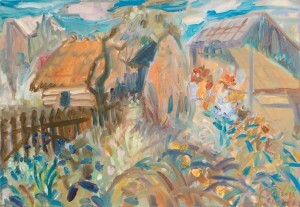 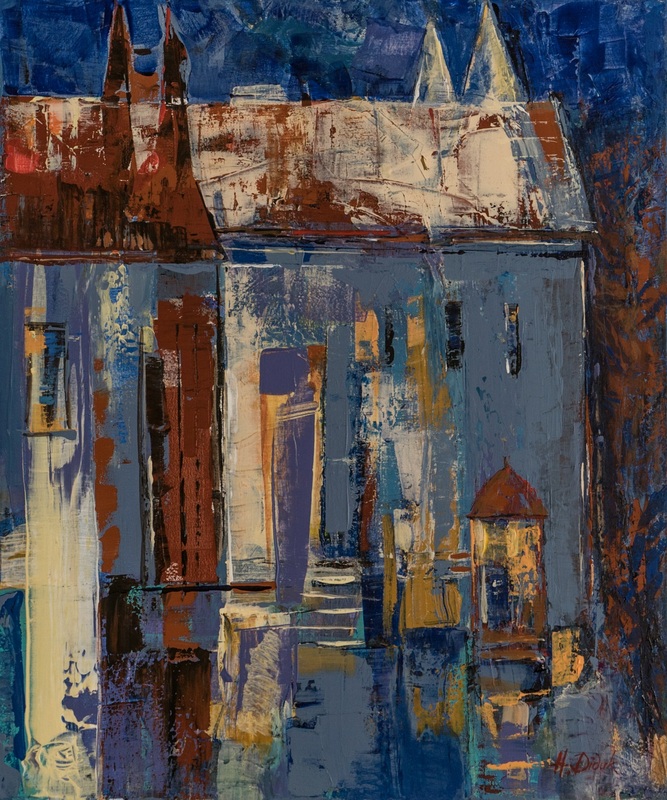 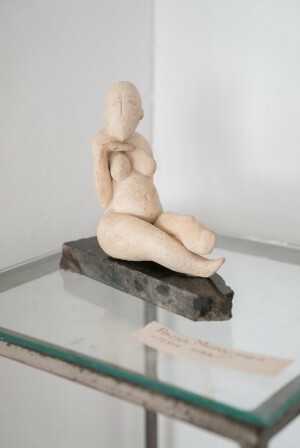 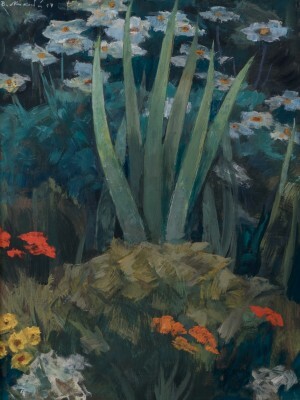 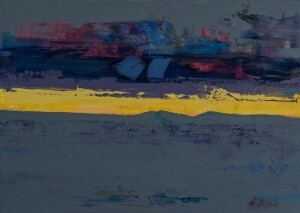 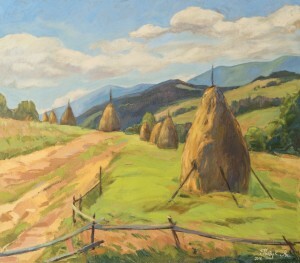 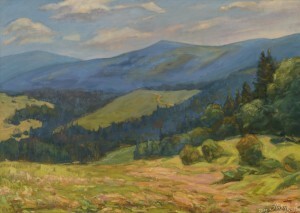 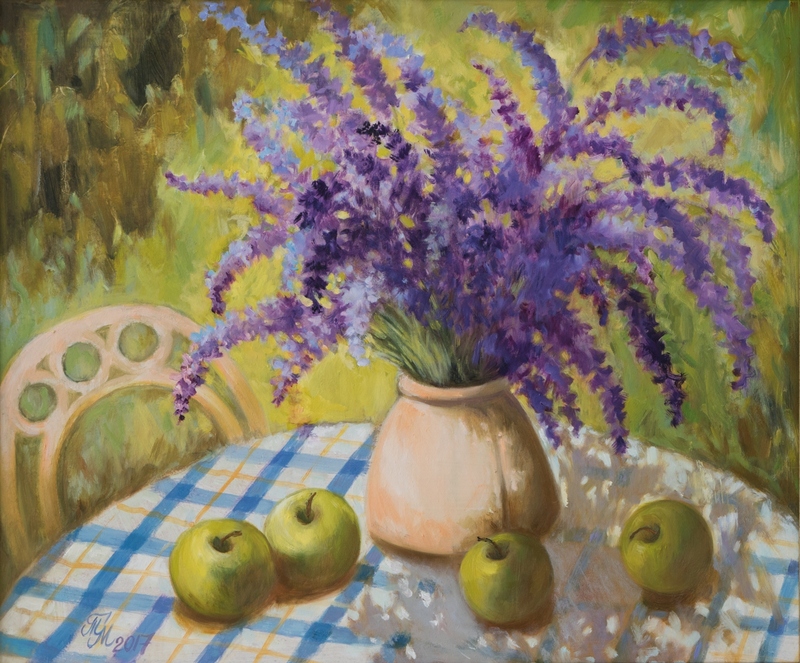 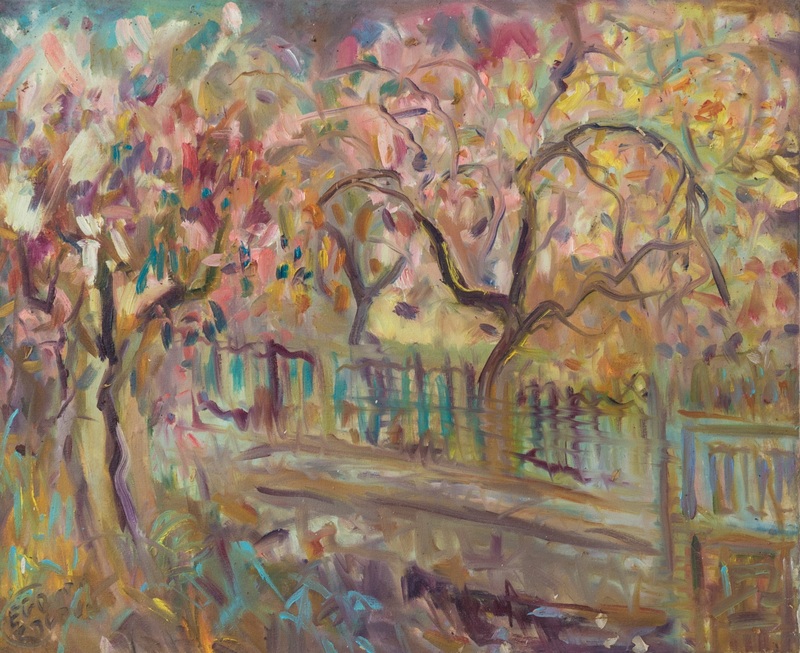 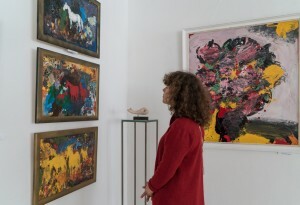 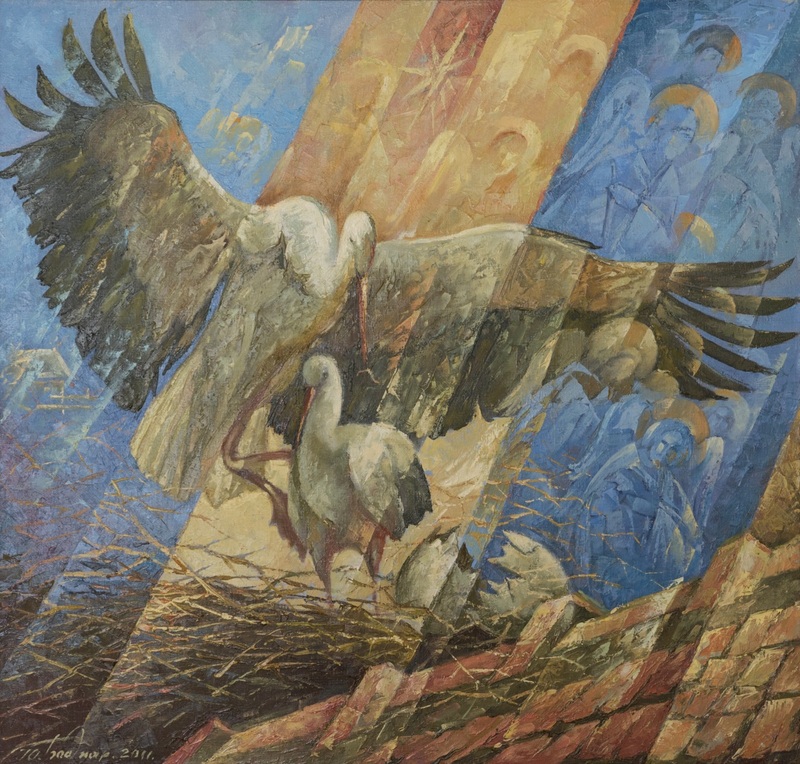 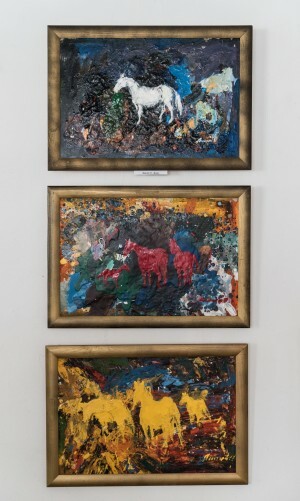 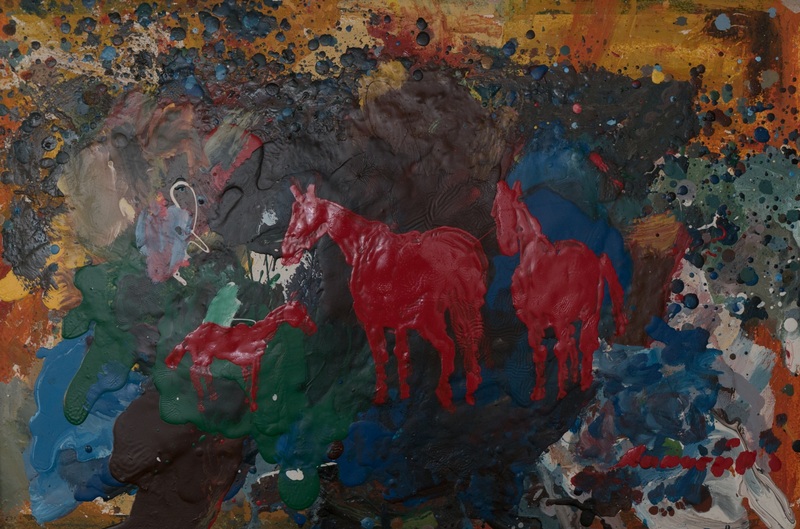 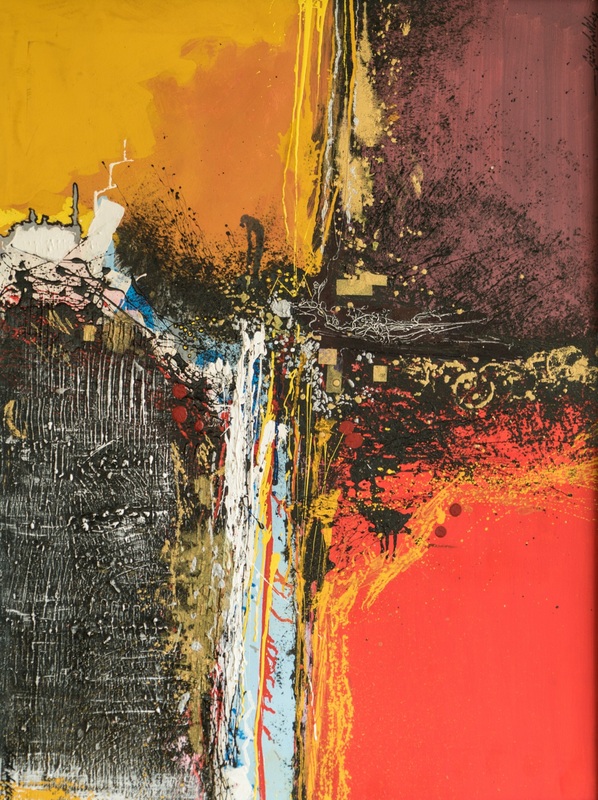 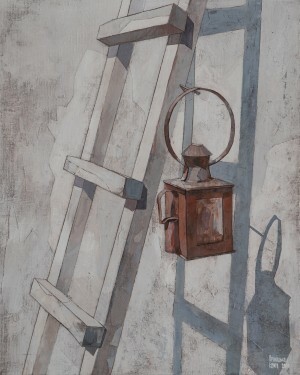 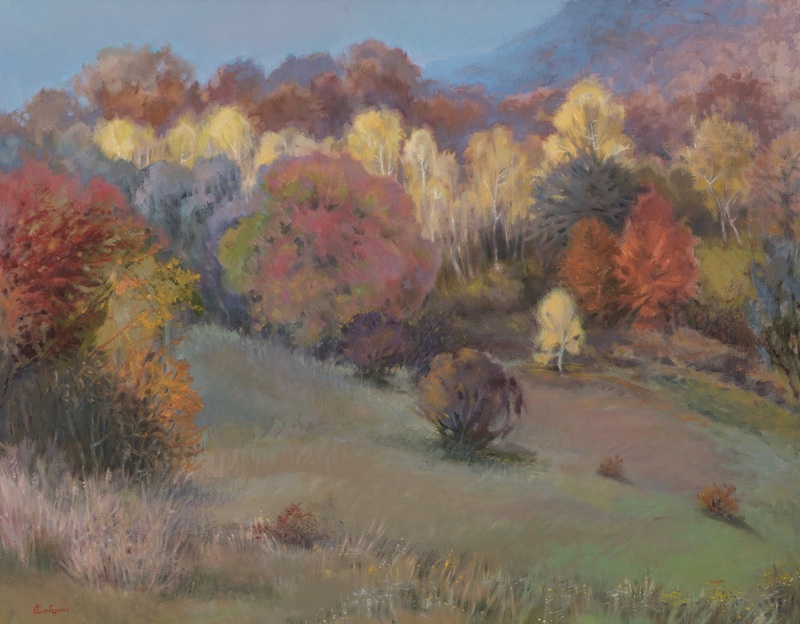 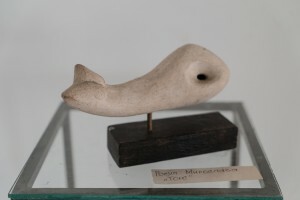 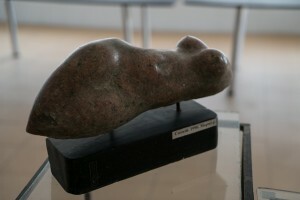 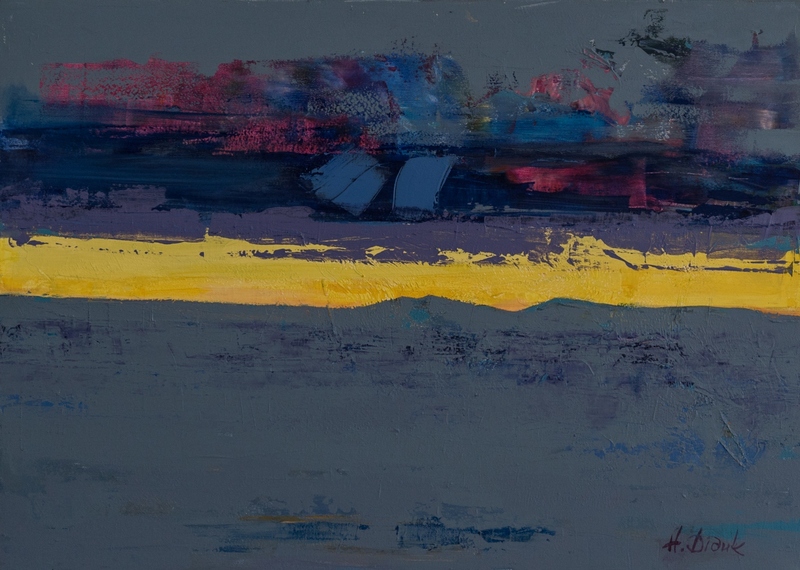 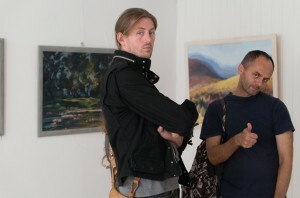 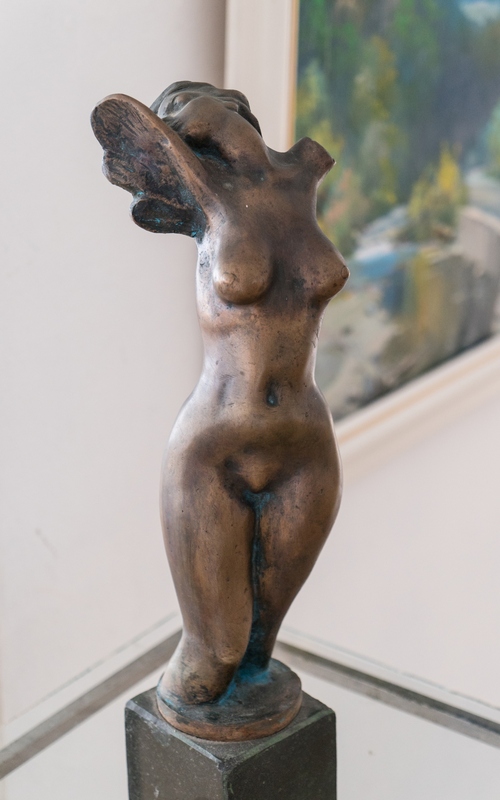 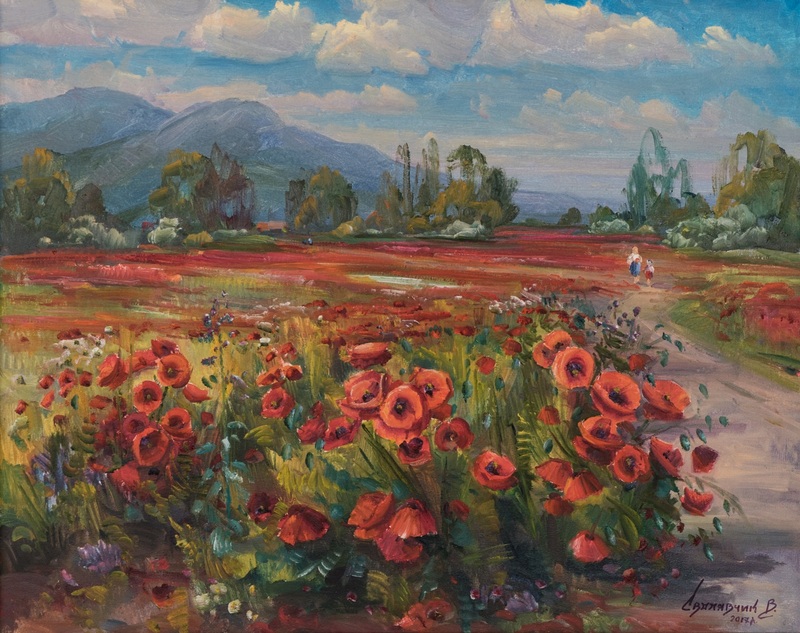 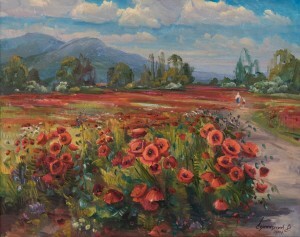 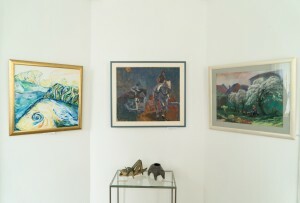 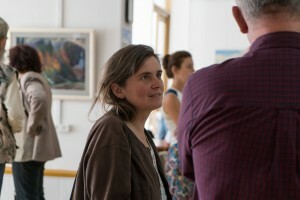 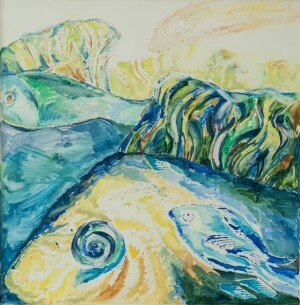 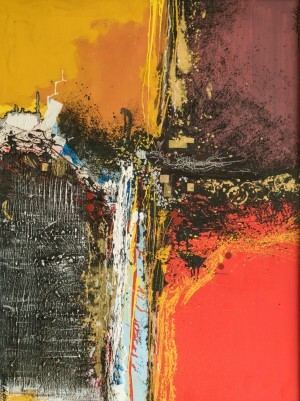 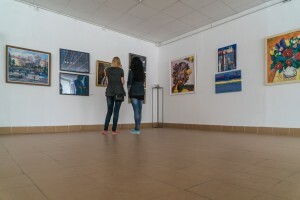 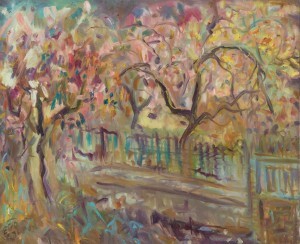 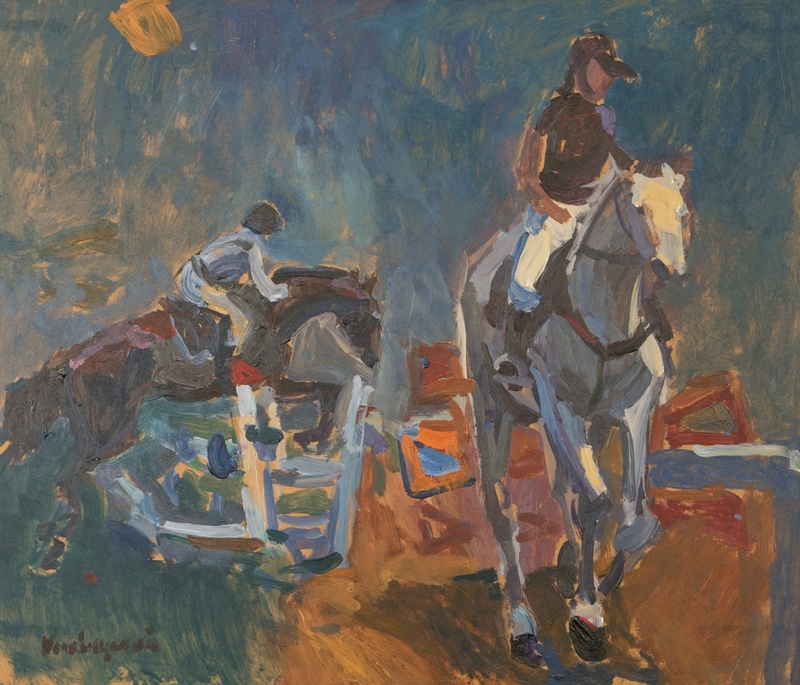 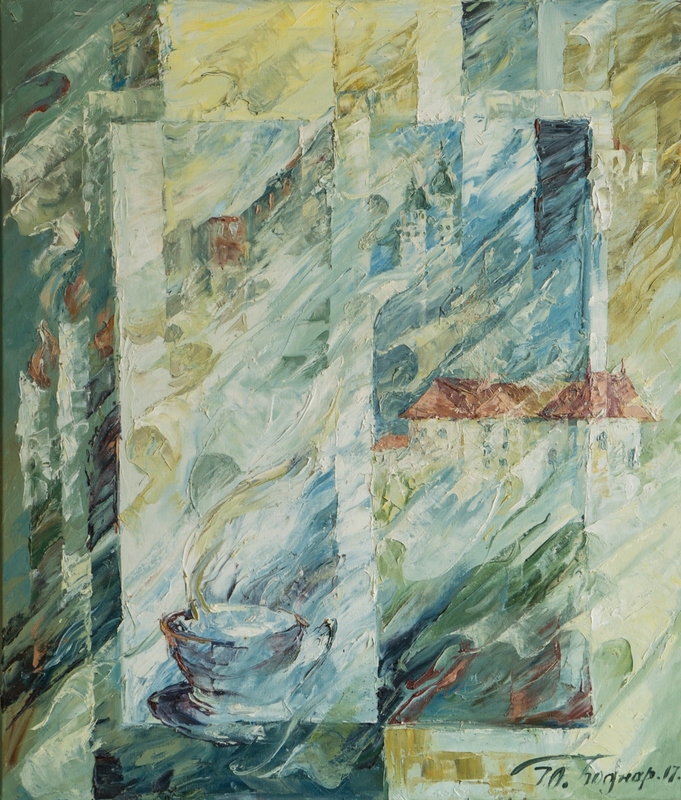 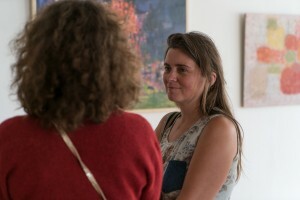 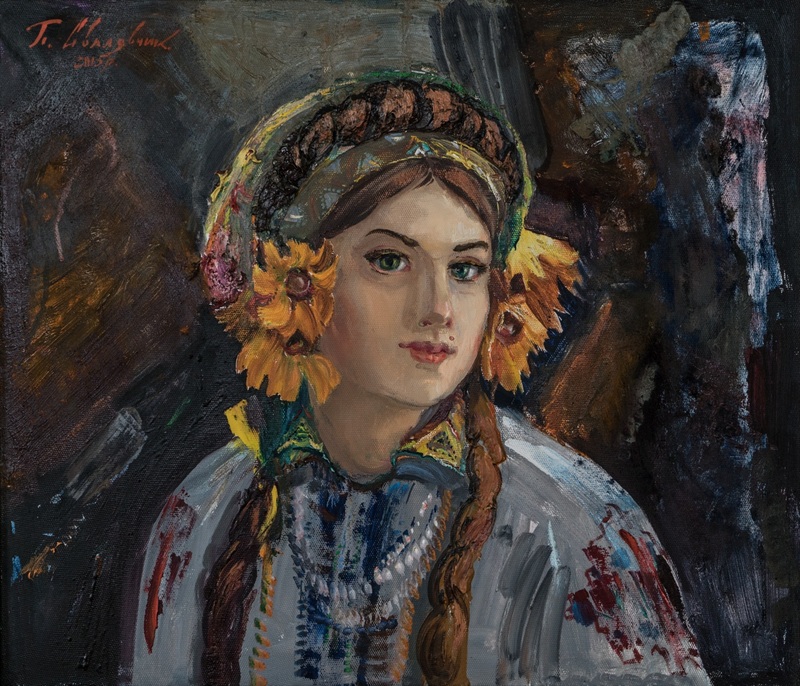 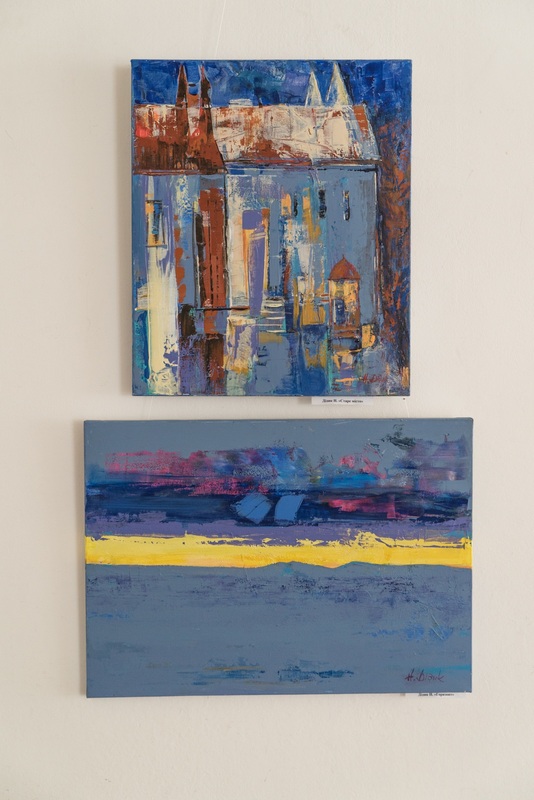 The authors use a variety of techniques – from oil painting, acrylic, pastels, watercolours to painting on glass, ceramics, sculptures and various individual techniques. 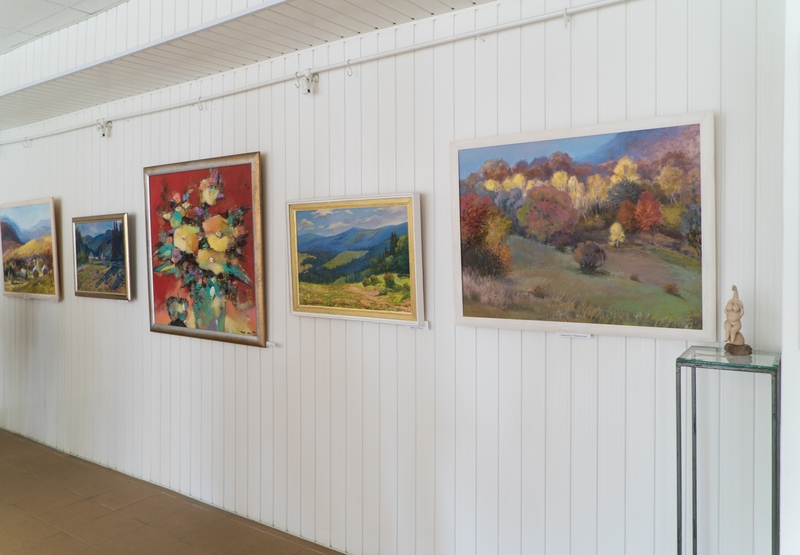 The exposition presents a variety of art works: there are landscapes, still lifes, portraits, among other things presented and genre scenes – each work deserves viewer’s attention. 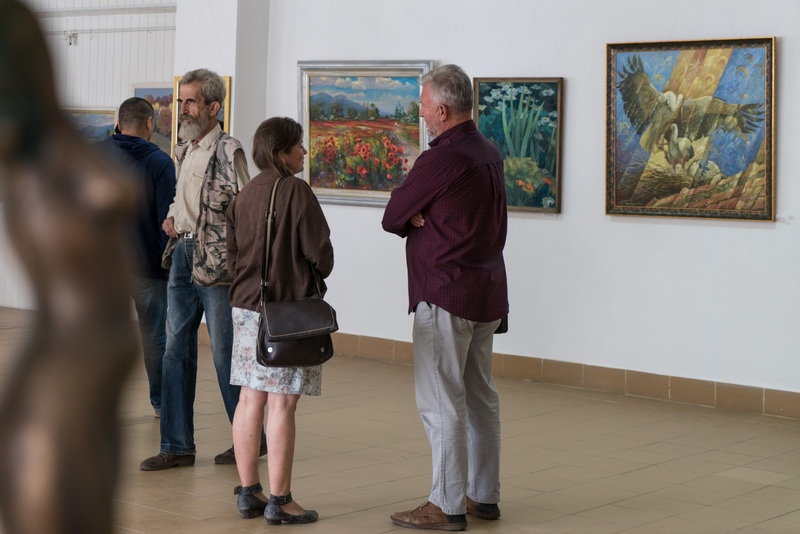 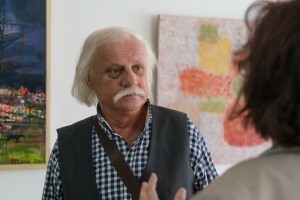 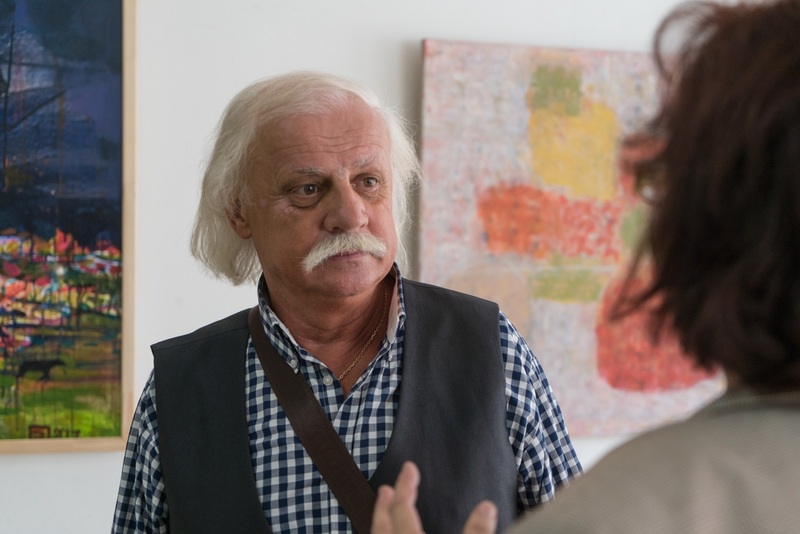 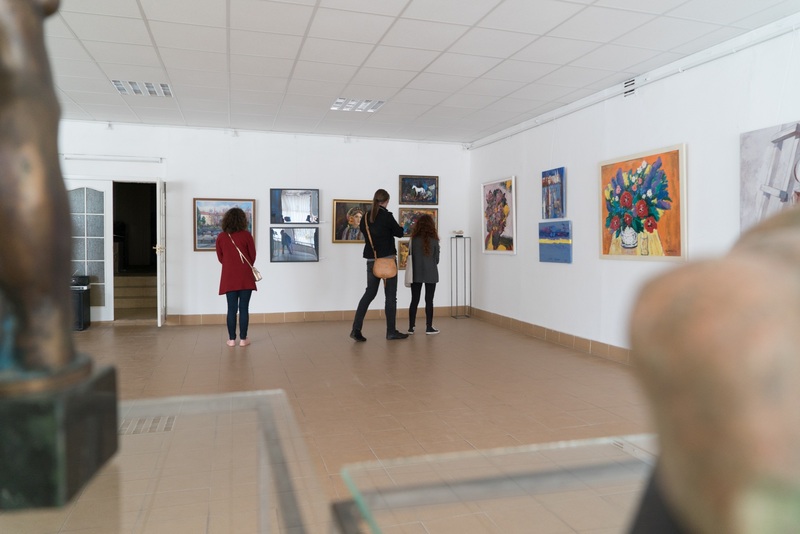 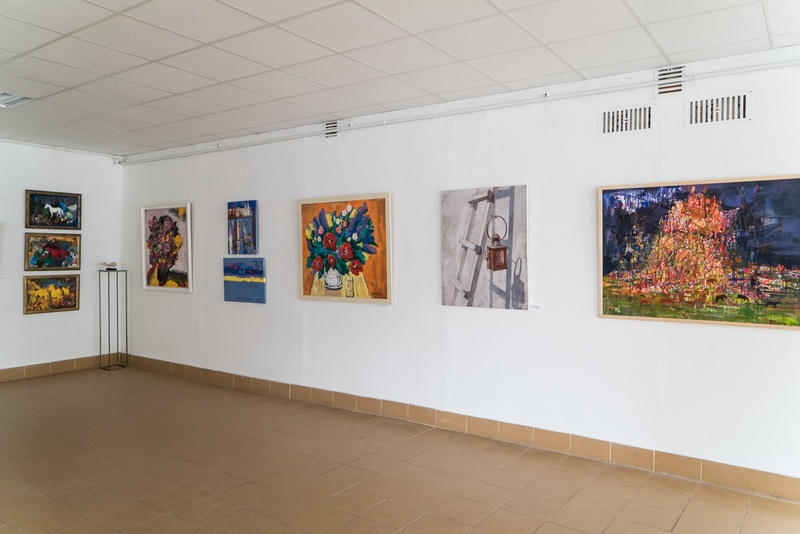 "Artists worked on free topics – every artist has shown what he lives today", – explains the Head of the Transcarpathian organization of the National Union of Artists of Ukraine BorysKuzma. 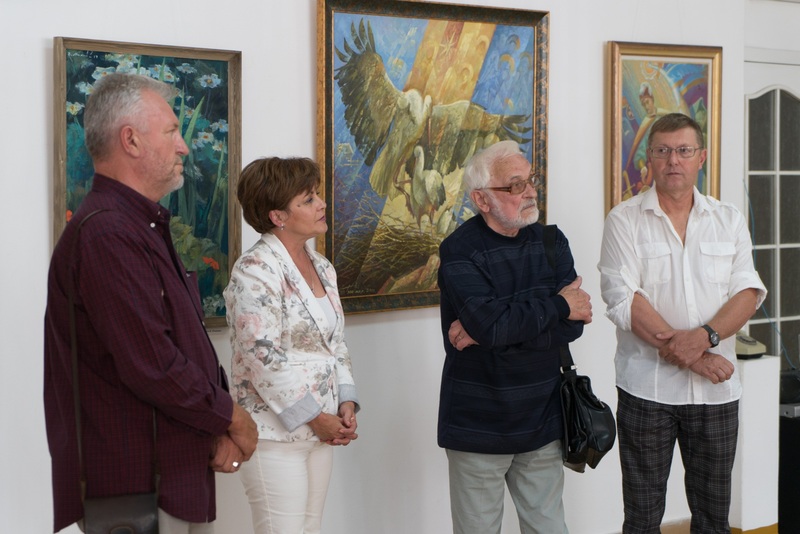 The Chairman of the painting section VasylVovchok rightly remarked:"Doubts that we have a strong artists, cannot stay at anybody.This exhibition gives hope for the future. Now desperately it is felt the value of peace". 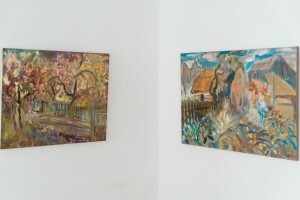 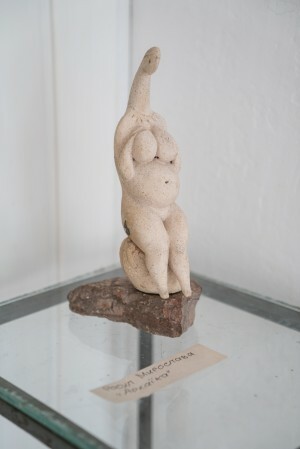 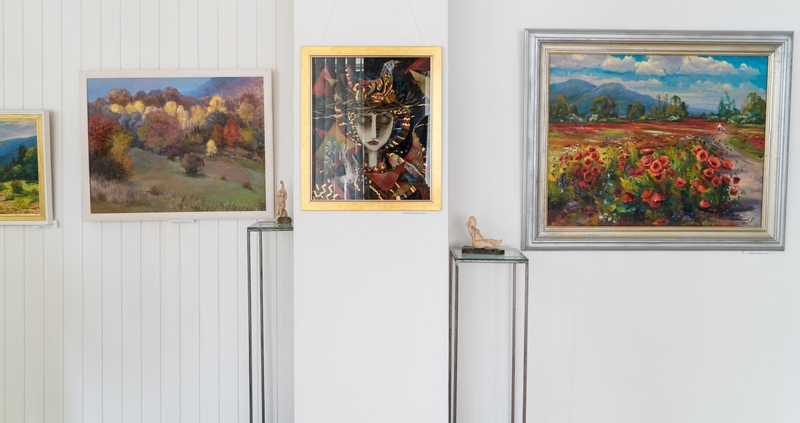 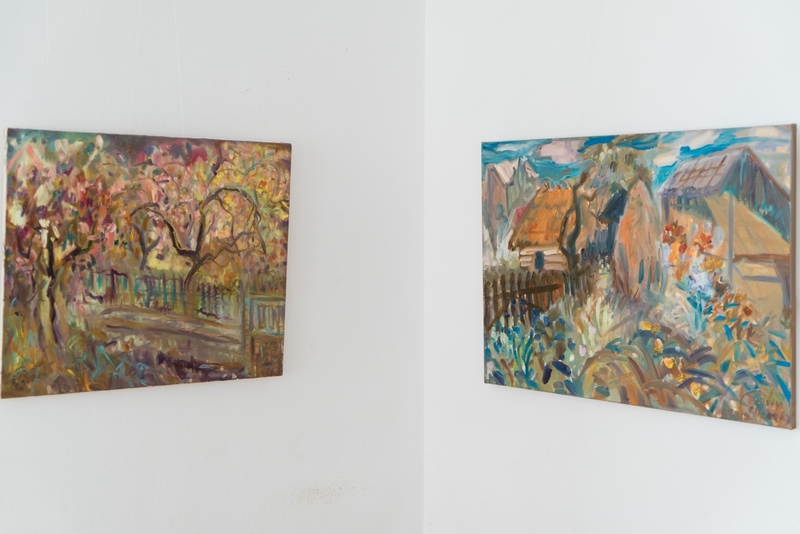 Their works at the exhibition presented: V. Slobodskyi, A. Pavuk, M. Mytryk,V. Vovchok, L. Slobodska, M.Dufynets, T. Usyk, M. Rosul, V. Kuzma, V. Svaliavchyk, V. Mykyta, M. Mykhailiuk, Y. Bodnar, M.Hresko, Y. Babynets, I. Didyk, P.Svaliavchyk, O. Lypchei, V. Habda, N. Didyk, O. Hromovyi, E. Prykhodko, V. Pavlyshyn, G. Buletsa, M. Shete, Y.Yehorova-Rohova, I. Klisa, Y. Shelevytskyi, V. Vinkovskyi, T. Ivanytska, I. Romaniuk, B. Kuzma, N. Sima-Pavlyshyn. 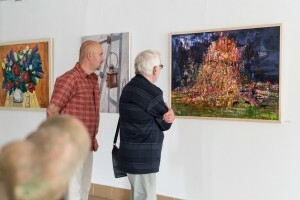 Everyone can see the works until the middle of September. 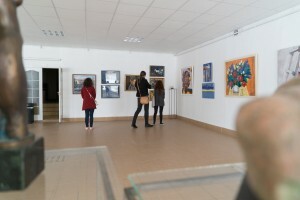 The entrance is free.